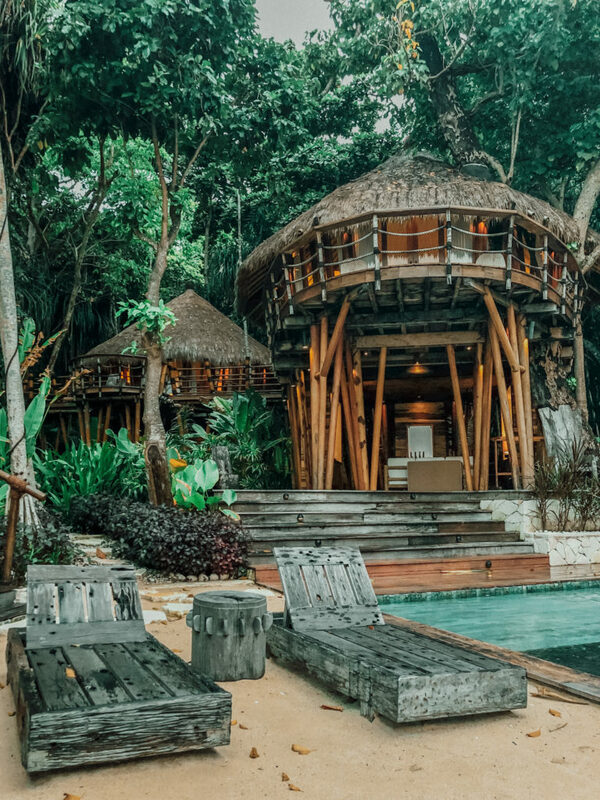 If privacy and isolation are top considerations for your honeymoon or romantic getaway then look no further than these top 13 picks for the world’s best off the grid hotels. Each of these hotels are a world away from reality and the perfect excuse to pack your bags and escape. Ever imagined yourself living in an oversized luxury treehouse on an island in Indonesia? At Nihi Sumba you can do just that. This exclusive hotel has been named two years in a row the world’s best hotel and one look at the serene oceanside resort will show you just why. 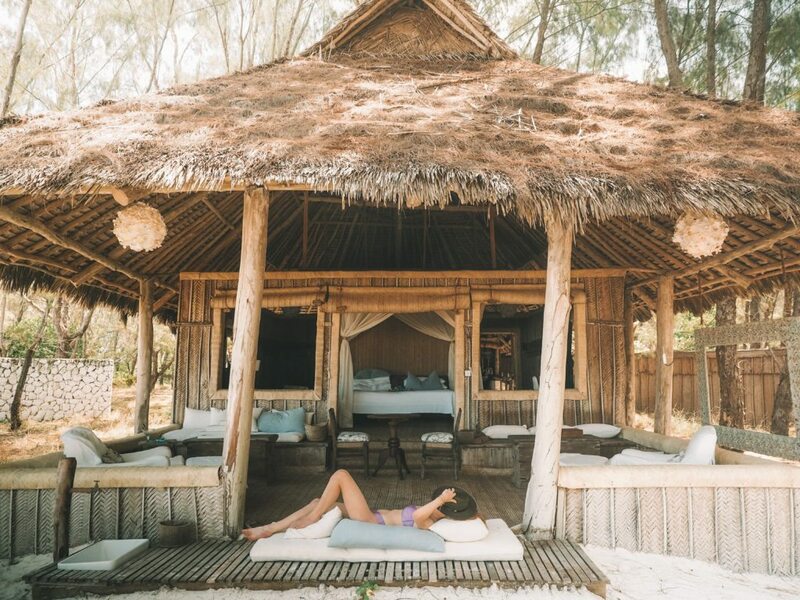 There’s perhaps nowhere more exclusive, isolated and ethereal than Mnemba Island off the coast of Zanzibar. This private island is home to 12 bungalows under the And Beyond brand, one of the leading safari operators across Africa. Mnemba is one of their most sought after properties to stay with many famous guests making their way to Mnemba for the privacy and exclusivity it has to offer. In the crystal clear waters of the islands of Tahiti lies Le Taha’a, hands down the most gorgeous overwater bungalow hotel in the world. 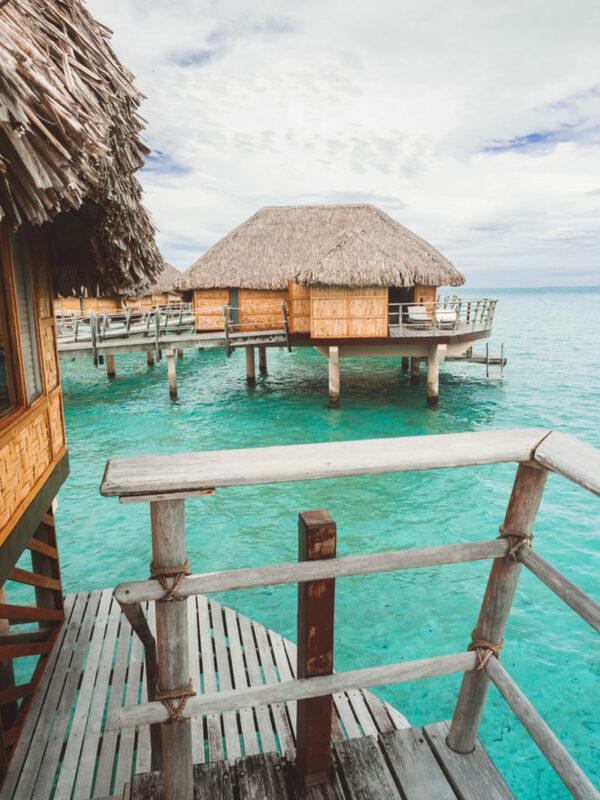 While many honeymooners flock to nearby Bora Bora, the most beautiful hotel is in fact Le Taha’a, occupying a small private island with just a handful of overwater bungalows and ocean front suites. The hotel staff will collect you from the nearby airport and transfer you by private boat, making this one of the most exclusive hotel stays in Polynesia. After the kind of break up that leaves you paralysed on your couch eating takeout for weeks, there was nowhere better for me to go than to the mountain ranges of the South Island of New Zealand and check myself in to the week-long yoga detox retreat known as Aro Ha. 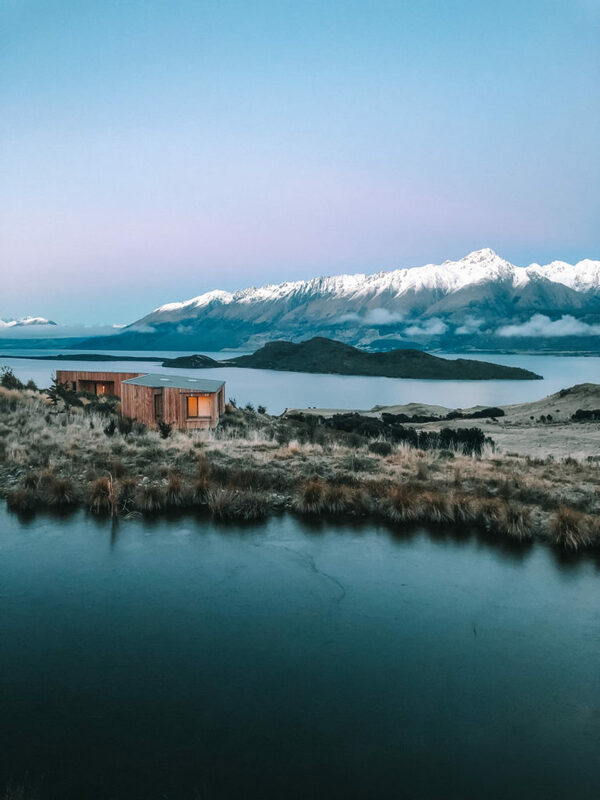 This private escape is an hour drive from Queenstown airport on the edge of Lake Wakatipu in the dramatic and scenic mountain ranges of New Zealand’s South Island. 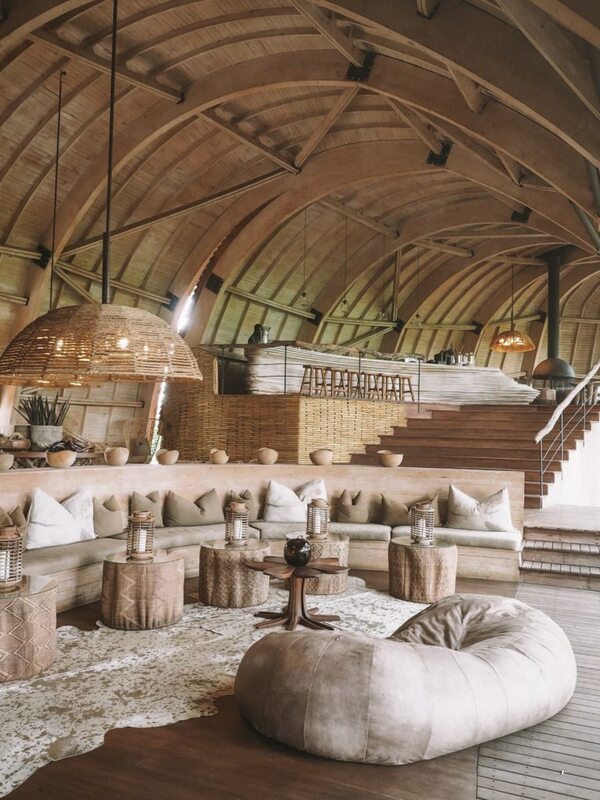 The interior design of Sandibe Okavango is so pretty you could package it up and take it home if they’d let you. Blending in with its’ natural bush surrounds, Sandibe is like a secret you swear not to tell anyone about because the magic of it is so special and so surreal you just don’t think travel can get any more magical! This is a great lodge to explore Botswana for your first visit, especially if you’re interested in experienced the wetlands of the Okavango Delta. 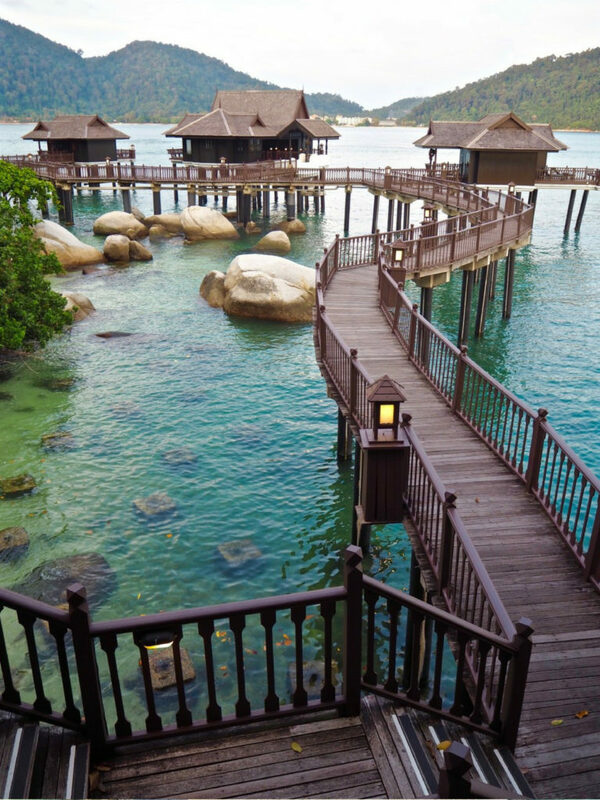 Pangkor Laut is one of the most underrated honeymoon destinations and thanks to this, remains one of the most affordable. 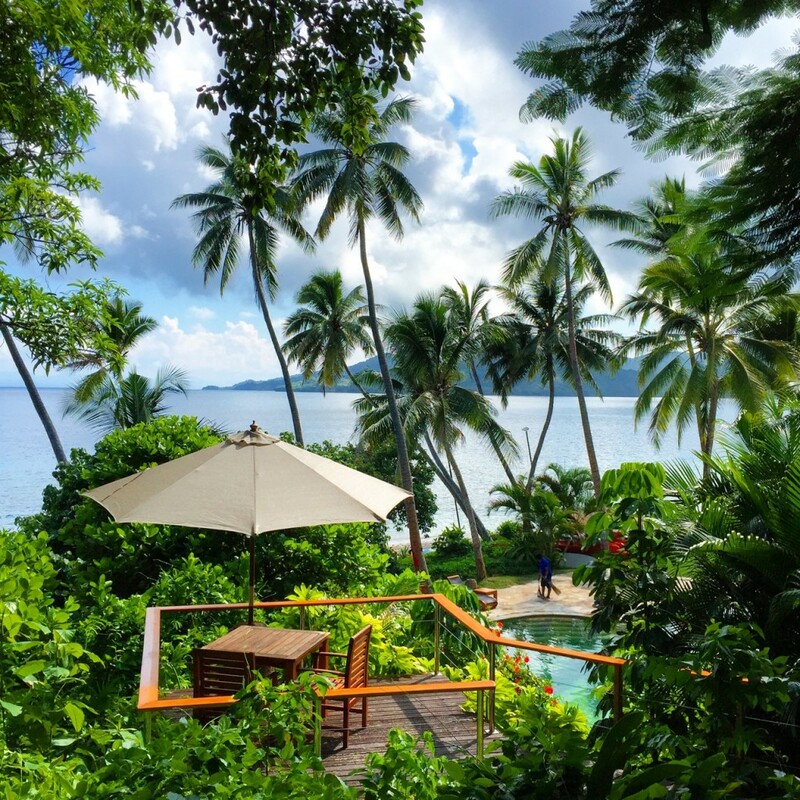 This resort is a great alternative to travelling far away to the likes of the Maldives or Tahiti and is a great secluded honeymoon spot if you’re on a tighter budget. 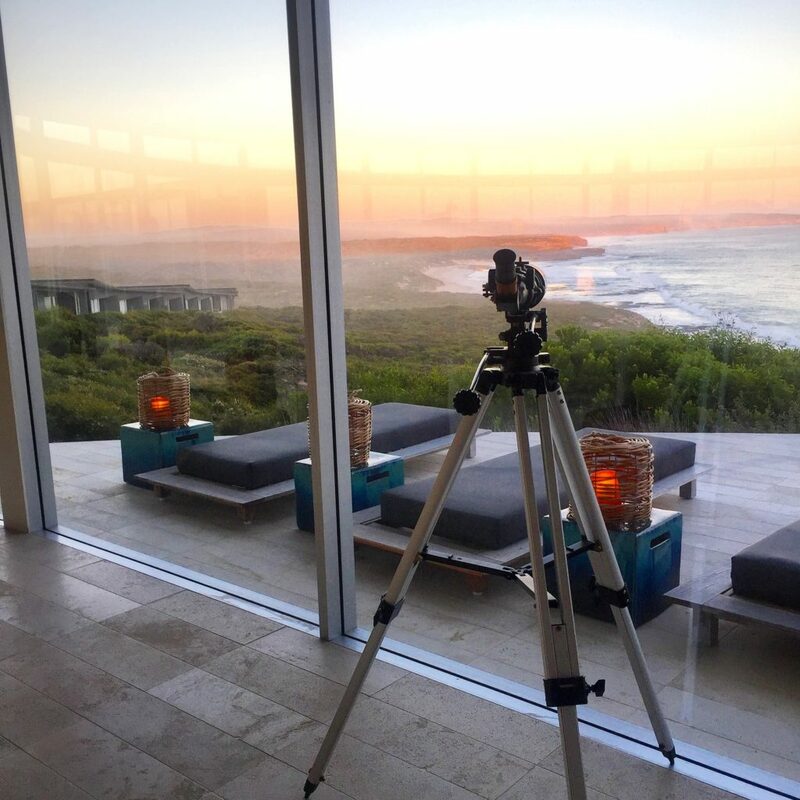 Located in complete isolation on the far away tip of Kangaroo Island, Southern Ocean Lodge is one of Australia’s most sought after hotels. This lodge is the perfect blend of isolation – located strategically with epic ocean views and the Australian bush and its’ wildlife are just outside. 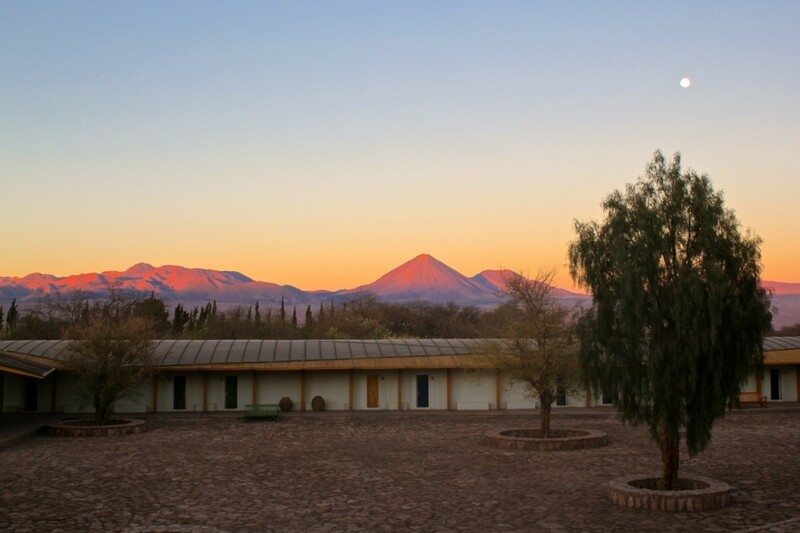 Although this desert is the driest in the world, San Pedro de Atacama is one of the most rich destinations to explore in terms of epic day hikes in to cactus canyons, desert culture, wildlife, nearby salt flats and so much more. As one of the most romantic resorts on the planet, Royal Davui occupies a private island in Fiji (and you can even arrive by helicopter to the private pad!) Royal Davui remains one of my favourite memories of Fiji thanks to the combination of privacy, luxury, great food and a welcoming atmosphere with fellow guests around the tiki bar in the evenings. It is no secret the Maldives is one of the world’s most sought after honeymoon destinations (and as a result, one of the most expensive! 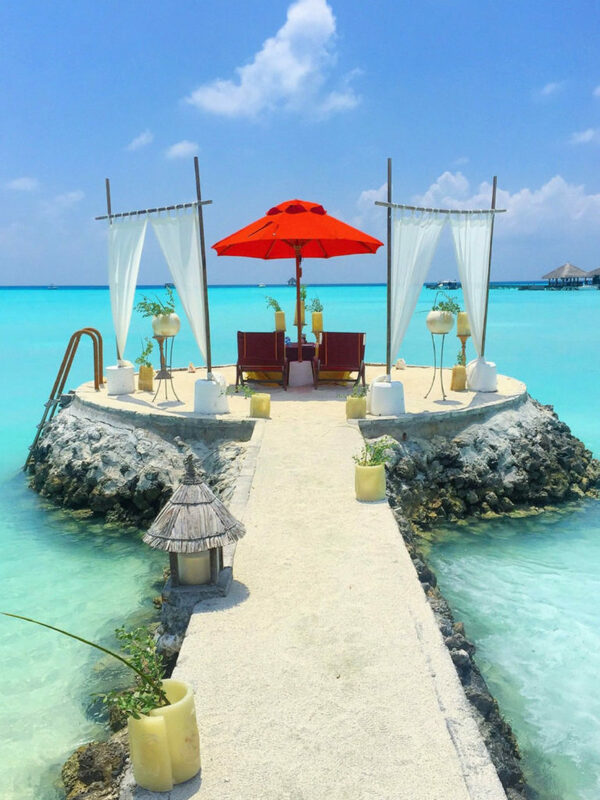 Taj Exotica is one of the countries’ most sought after hotels thanks to its secluded nature on an island, epic overwater bungalows and incredible cuisine with a global influence. 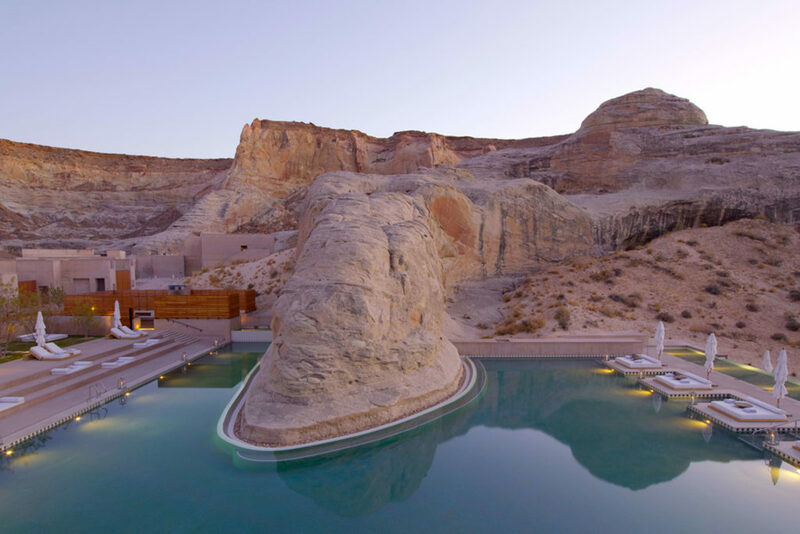 Set on a massive 600 acres in Utah, Amangiri is commonly considered one of if not the most luxurious escapes in the United States. With a sauna, steam room, plunge pools and an elaborate spa menu, this is one of the most indulgent escapes the desert has to offer. 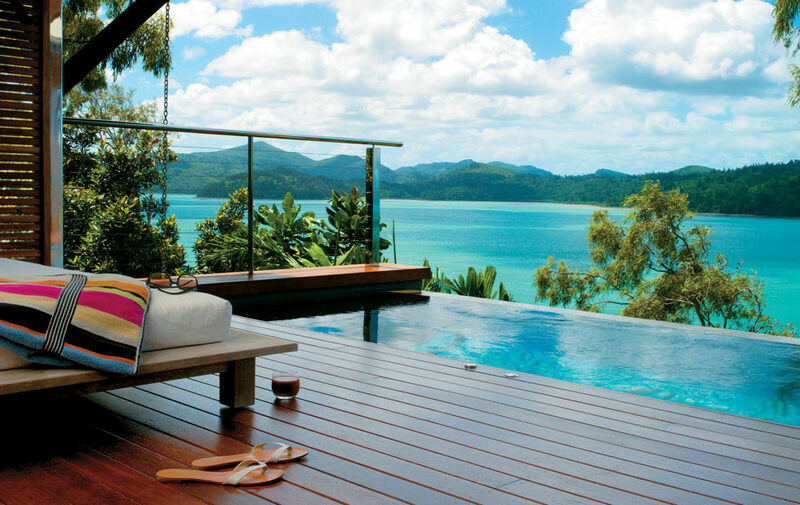 Tucked away in the exclusive Whitsundays is Qualia, known to most as the most south-after luxury escape on offer in Australia. This gorgeous resort is kid-free (guests must be 16 years or older to stay), making it the perfect excuse to leave the kids at home and escape for the weekend. Dubai has become one of the trendiest destinations over the last few years and its’ enviable location in the centre of many transit routes makes it an effortless stopover city. But if you’re more interested in escaping to the dunes then consider Al Maha your perfect home away from home and our pick for the most isolated luxury hotel in the Middle East. I was looking at the one in Utah and the cheapest price I found was over $2,000 a night! Wish I could afford that. Stunning nevertheless. Wow these resorts look so magical! It’s on my bucket list to visit a destination like this. Thanks for sharing these amazing options. Great inspiration! 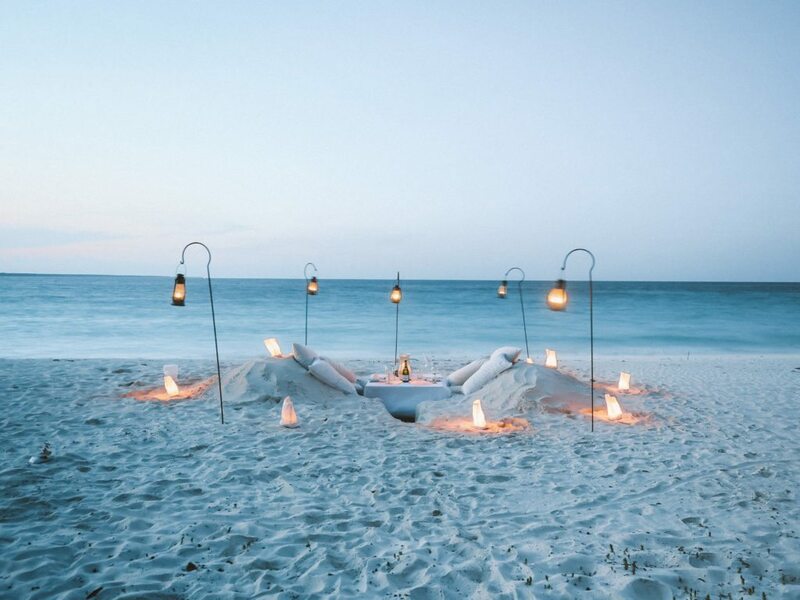 I really loved New Zealand and Australia, but Zanzibar is definitely on my bucket list! These are stunning! I’ve never traveled just for the sake of staying solely at the resort – that sounds luxurious! You had me at “isolated hotels”. Reading this, I believe my heart skipped a few beats!